Most people say that the bride is the apple of the eye during weddings. It may or may not be because of the extravagance or the elegance of her wedding dress. After all, a bride has a natural glow whether or not she is wearing an expensive or cheap wedding dress. It is actually one of the many considerations in cutting down your wedding budget. Finding a cheap wedding dress can be challenging, but the simpler, the better. One good thing about cheap wedding dresses is that you do not have to overdo things. A simple wedding dress can still make a difference. It is all up to you on how to carry your wedding dress confidently. David’s Bridal has an online shop where you can look at wedding gown photos, color and other details you need. This wedding gown couture has wedding dresses on sale which are just right for your budget. A sample of a cheap wedding gown is the “Satin Pick-up with Cuff Neckline and Lace-up Back Style” which is priced at $199.99. 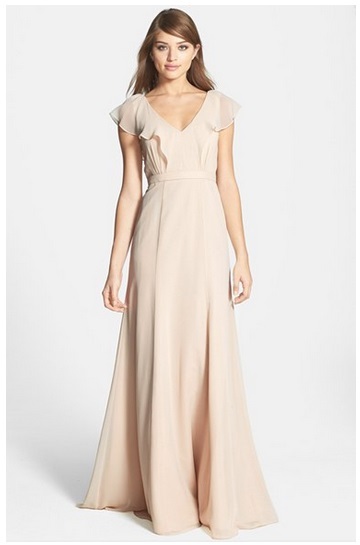 The gown is in A-line; made up of silk chiffon; falls below the knee; and has a hidden side zip with snap closure. 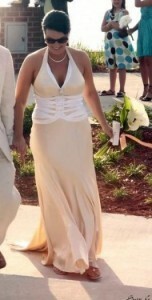 The Carmela wedding dress is perfect for a summer wedding. Designed by J. Crew couture, you can order the Carmela dress through their online shop. The dress is sold for $295 published rate. Details of the wedding dress include an A-line silhouette, silk chiffon, falls below the knee 43 ½”, side zip, snap closure, has an inner lining, can be dry cleaned, imported and available for online orders only. There are online shops like woreitonce.com which sells second hand wedding dresses. Just be particular about the size, color and design, then you are good to go. A second hand wedding dress can be dry cleaned and it would be good as new. You can make alterations also, if needed. You can find cheap wedding dresses from below $100 to more than $500. A sample gown item designed by Allure is available for a price of $140. It is made up of satin, color is champagne/white, body tight and halter back. A wedding gown available in Cache is priced at $218. At an affordable price, you can own a simple but elegant triple back strap gown. It’s intricately designed with beads and gemstones along the straps. It is made up of 100% polyester, has a 60 ½” body length, and has a sheer matte one-shoulder design. 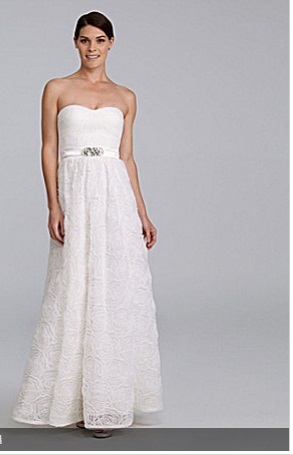 Shopbop.com has a variety of cheap wedding dresses available even for the choosiest bride. 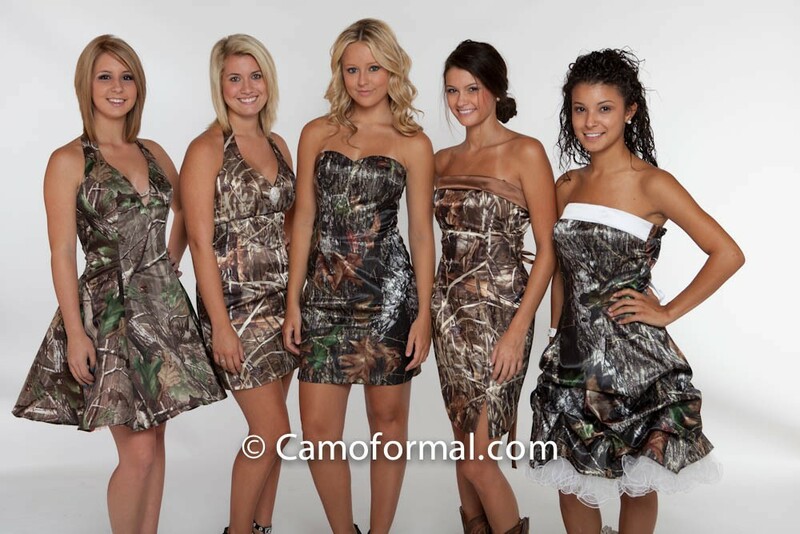 For instance, a Bayou Maxi Dress costs $286. It is colored white, with a tube neckline and made of silk. Imported from China, it has a quilted texture and a hidden back zip. This is one of the most popular online shops that sell a variety of clothing items for both men and women. Their website can be easily navigated and filtered based on different categories. You can simply click on your budget range for a cheap wedding dress. One of the cheapest wedding dresses posted online is the Ruffled Chiffon Long Dress. It is being sold for $275. The wedding dress by Jenny Yoo has a v-neckline on the front and back, with hidden zip closure, A-line skirt, and is 100% polyester made. This is an online shop where brides can enjoy many promos. Currently the shop has free shipping going on. There are wedding dresses which are on sale and very appropriate for those who are trying to stick to their wedding budget. A gown on sale costs $220. 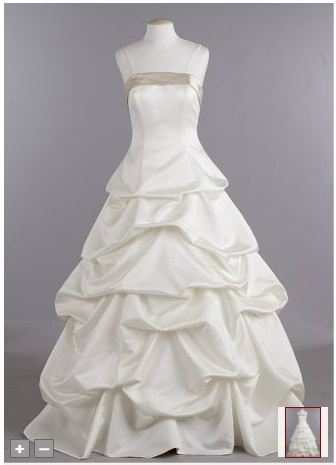 It is a short satin wedding dress with a sweetheart neckline. It has shoulder straps, sleeveless and comes with a matching jacket. 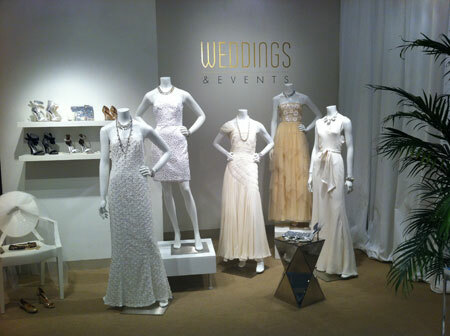 This shop carries a lot of designer brand wedding dress for a very cheap price. A short Anne Klein white dress is currently priced at approximately $120. This is the perfect wedding dress for those who are holding a garden or beach wedding. If you want to do away with the long trail wedding gowns, this is definitely the cheap wedding gown for you. It is made up of cotton-polyester, has a v neck design, follows an a-line skirt, flare skirt and with back zip closure. This is one of the most common places where all types of clothing articles are found. It is not a surprise that even cheap wedding dresses are sold in this shop. 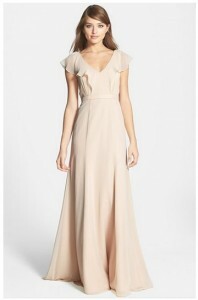 A one-shoulder chiffon gown is priced at $194. This particular gown is designed by Ralph Lauren and has an elegant, airy effect accentuated with smoothly designed ruffles. It has a polyester lining, breezy flared skirt and falls 37” from the waist. Dillard’s online shop can actually ship to anywhere in the world. Brides can choose from a wide variety of wedding gown collections. 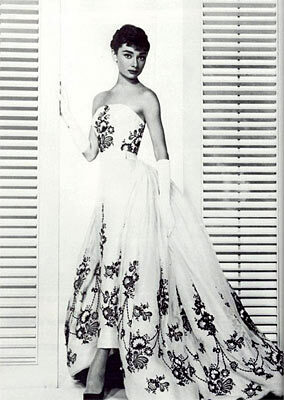 But for those running on a tight budget, this Strapless “Rosette-Skirt” Gown by Adrianna Papell is highly recommended. The gown is priced at $238. It comes in ivory white color, has a satin waist accentuated with a jewel, follows an a-line pattern, and made up of polyester material. This is a concrete example that wedding gowns need not be extravagant or pricey. There are many options where you can find cheap wedding dresses. You just have to be more resourceful in finding these shops that offer a great deal for their wedding dress collections.